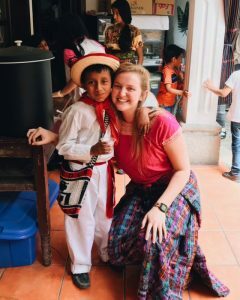 This summer, Juliana Anderson and Piper Mik are serving as interns at Escuela Integrada. The young women are helping with English language instruction, technology and general needs at the school, including refurbishing the library. We sat down with them to find out about their experience. Juliana Anderson, 18, is helping Escuela Integrada with technology, English and general school needs this summer. How did you get connected to Escuela Integrada? I went on a mission trip with my church last year and fell in love with the school. I saw kids who are grateful for everything they have even though their life is hard. Escuela Integrada has a big impact and changes lives here. I wanted to be a part of that. My favorite memory so far was the beginning of my third week here. I walked into the school and every kid remembered my name. It made me feel like I was more than just someone on a mission trip who was passing through. It was more than a visit. I was part of the Escuela Integrada family. What is your hope, dream or wish for your time with the school? I hope I help the kids learn more English. It is such a useful skill. I also want to develop relationships, to form strong bonds with the kids. The kids need people to rely on and I want to be one of those people. What do you want everyone to know about Escuela Integrada? I want everyone to know how hard every kid works and the extent to which they go to just to get an education. Some kids ride their bike an hour to get to school. Others take the dangerous chicken buses. And others sacrifice working and making money for their family so that they can go to school. They work really hard, and I think that’s incredible. 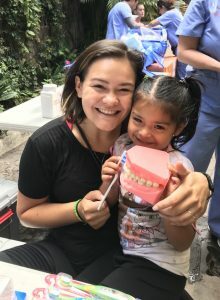 Piper Mik, 21, will be in Guatemala until September to help teach English and to support the school with general needs. A good friend’s family is involved with Escuela Integrada and spoke highly of the school. I grew up very fortunate and see it as my obligation to help others. Education has always been important to my family. My mom placed a lot of emphasis on the doors that education opens. I want to spend the next few years of my life helping open doors through education. I help with the English program at the school. One day we were supposed to work with the 7th grade girls, but the 7th grade boys wanted to stay too. They wanted to help answer questions, they wanted to learn. They really want to learn. I want to create a lasting connection and to be a part of something bigger. I want to develop lasting relationships and have Antigua be more than just a place to live. I want people to know that it is about more than education. There is heart and community at Escuela Integrada that is different from other schools. You can see the personal connection between teachers, families, staff and students. It’s a community and a school. 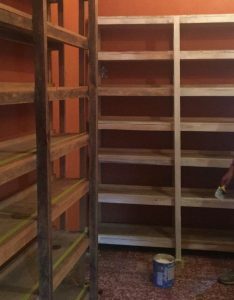 Piper Mik and Juliana Anderson are painting shelves and organizing materials in the library at Escuela Integrada. Piper Mik and Juliana Anderson are hard at work on the library at Escuela Integrada. They are organizing books and resources, as well as designing the overall appearance of the library. The library is located a block down the street from Escuela Integrada, in the space used for Proyecto Capaz, the girls’ after school program. Once complete, the library will include stuffed animals for the kids to read with and small prizes for completing reading goals. A grant from Emanuel United Methodist Church in Baraboo, Wisconsin, provided the financial resources to refurbish the library. Over the next several months, GRACES will be collecting stuffed animals to use as “reading buddies,” as well as small toys and school supplies for reading incentives.